Hi Stampers, Today is 3-D Saturday. This is the day that I share a craft project that is not a card. ( I love boxes!!!) They could be boxes, party favors or cupcake toppers. I am hoping this will encourage you to use all sorts of paper, dies and inks. 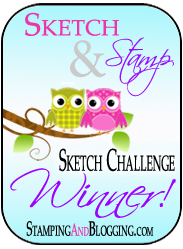 I do make many of my projects with Stampin’ Up! products but on 3-D Saturday I am sharing projects that are not limited to using only current Stampin Up products. Each creation can be tweaked to allow you to customize it for your specific 3-D project. Enjoy! Last week I shared a cake box for a luncheon I attended. Here are the cupcake toppers that I made to go along with the cake boxes and the “sparkle’ theme we had. Change the colors for any party occasion and customize these for your special get together. Most importantly, have fun and create those lasting memories for the people that are special to you. A few of the items I used are retired but remember, you and interchange a stamp set you have and get the same look! Cute! I love your sparkly, festive embellishments.